Your home could look like this too. 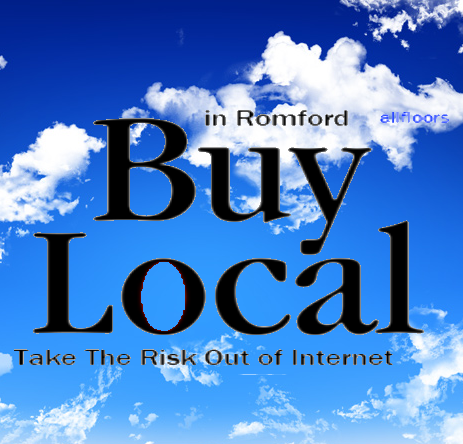 Please phone us and we can help you select the right floor to give your home wow factor. Bamboo flooring is great in your home, if you love the environment and want a traditional hard wearing flooring. Then my not choose bamboo flooring. 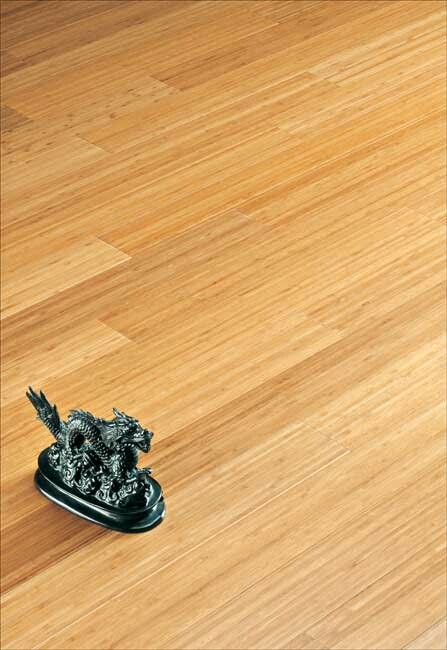 Bamboo flooring is made of natural bamboo cane. It makes a great alternative to solid hardwood flooring so why not choose Bamboo flooring for your house. 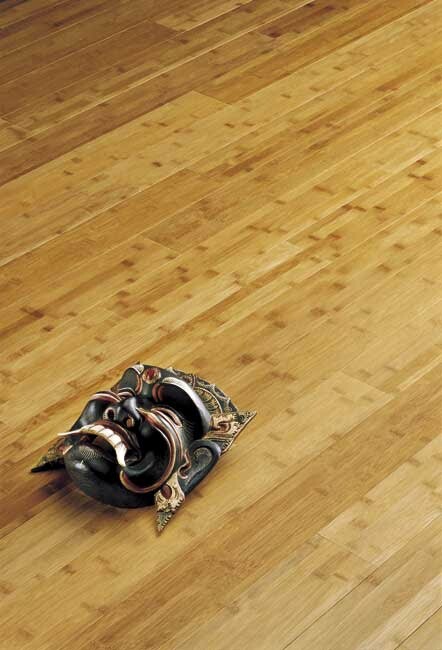 Bamboo has a very hard wearing floor layer and is naturally abundant source of flooring. 3-3/4" wide x 5/8" thick. 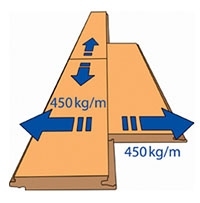 Bamboo boards may be nailed or glued down using a polyurethane based adhesive and proper trowel size over an approved sub-floor. 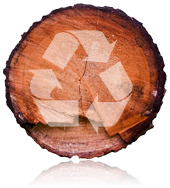 Bamboo flooring is Forest Stewardship Council certified - Ethically Sourced. Bamboo flooring is suitable to almost every situation from residential to commercial use. It can be installed over almost any sub-floor - including concrete, particle board, plywood, or other other existing flooring. Eco friendly bamboo flooring is coated with 6 layers of UV cured water based polyurethane, finished with an aluminium oxide anti-scratch coating, for superior durability. 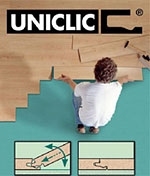 The product can be installed as a floating floor or glued down - according to the circumstances. Installation is quick and easy - and some products are suitable for DIY installation. Once installed, you can walk on a floating floor straight away, and on a glued down floor in as little as 8 hours. Bamboo has been used in Asia for thousands of years. Not only is it 27% harder than red oak and 13% harder than maple, it is also lighter than most hardwood's. Bamboo is simply outstanding for use as a flooring material. The special structure of bamboo and multi-layer lamination give bamboo its unique appearance. 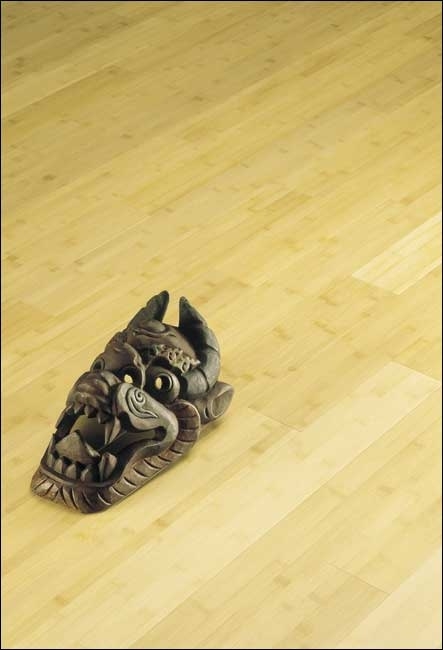 Bamboo flooring is available in two tones, natural and carbonized, both equally rich and warm. The carbonized colour results from steam conditioning, which darkens the wood slightly. This colour may vary from light to dark brown. Bamboo flooring is the culmination of total mastery over manufacturing and finishing techniques. Boards are machined with such precision that they fit each other to perfection, resulting in a smooth, even, totally magnificent finish. Bamboo boards may be nailed or glued to the sub-floor surface, even over radiant heating systems.